Off to the ferry to cross the straits of Dover and on to France. They stayed in the same Etoile district in Paris where Danny and John had stayed before. They didn’t like Paris that much so left shortly after for Germany. 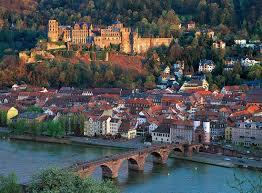 Having met a German chap while in England, they headed for Mannheim where he was living with his family. His mother let them stay at their house and soon after they started working with an uncle who owned a Volkswagen parts company. This was boring work making parts on an assembly line, but it filled the time and put more money in their pockets. On the weekends they would explore the surrounding towns, sleeping in their Jeep in sleeping bags. They visited Worms where the 95 Thesis was nailed to the Cathedral door by Martin Luther, and spent a considerable amount of time in the beautiful university town of Heidelberg. Many Americans had attended the universities there and didn’t want them damaged, so Heidelberg was one of the few cities that had not been bombed during the war. It is a very picturesque town, which is also famous for its drinking. They had fun and met a lot of students there. That September, after five weeks in Germany, they continued on their route to India and drove south to Salzburg, Austria. 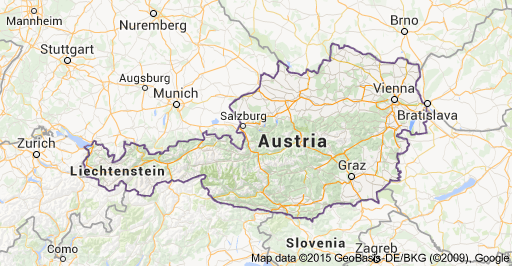 From Austria they crossed into communist Yugoslavia. The roads were terrible in Yugoslavia with a lot of damage from the war that had still not been repaired. On a side road on the way to Belgrade they pulled into a farm to see if they could get some water. There was a man sitting on his porch while his wife and two daughters worked in the fields. He filled their water bottles, offered them his homemade apple cider and invited them to stay the night. When his wife and daughters came in from the fields he also offered his daughters to them! Which one did they want? They decided it was time to leave, but under the influence of the cider they had to stop on the side of the road to sleep it off in the jeep. They weren’t in the best of shape in the morning, but they had water! Communism didn’t impress them, this was the most impoverished country they’d been in yet. People were poverty-stricken! There was a lot of corruption, and they were told never go to the bank to change their money, instead go to the black market where they got 200% more than the official rate for their English pounds. It took three days to get through Yugoslavia, sleeping in fields or on the jeep or under the jeep. The people were pleasant but there was always the fear of being arrested and thrown in jail.